Developers from Magento, an Adobe Company and few SIs participated in this workshop to come up with the questions for this exam. Everybody was highly skilled in Magento 2, and submitted very good questions which will make it difficult for the developers to pass this exam 🙂 Partners who participated – Corra (I an Jonathan Lorenzi), Something Digital (Max Chadwick), DCKAP (Jaykanth), Vaimo (Sergii) and Cream NL (Julian). And there were Alex Paliarush and Iryna from Magento. Vitaliy Golomoziy and Vinai Kopp were top of the game, submitting and reviewing some crazy amount of questions respectively. It was great to work with all these awesome folks for four days. This was all possible under the guidance of Peter Manijak, Director of Certification & Special Programs at Magento U. This exam added two new topics that are different than Professional exam. First one is of course Magento 2 Commerce features. The other one, which I personally advocated for few years to include in different areas of the Magento ecosystem, is Magento Security. I proposed this topic to Peter Manijak few weeks before the workshop, he really liked the idea and gave his support to include this in the certification. We were not sure whether to add objectives in other topics or to create an entire new topic for this. Peter took this to the team and we agreed to keep it as it’s own topic. We also got support on this topic from Richard Huie-Buckius, Head of Training & Certification Services at Magento, an Adobe Company. I am very grateful to Peter and Richard for understanding the importance of Security in Magento and making it a part of the certification. Peter is personally a big fan of Security so huge props to him on including this additional topic to the exam. The certification will be available to the developers in November 2018 (as per the tweet from Magento U handle). It was a great opportunity for me to participate in this workshop. I learned a lot from all the participants and am thankful to Peter Manijak and Corra for allowing me to participate in the workshop! M2 Certified Professional Developer test is here for a while now and I finally got some time to prepare and appear for this test. It asks you 60 questions which you have to answer in a time limit of 90 minutes. So basically you get 1.5 minutes to answer each question. Though you should not waste time if you are able to answer the question quicker, as there are many questions in the test which are lengthy and requires more time to understand the question. If you are a non-native English speaker, you may have to read some of the questions 2-3 times before fully understanding what it is exactly asking. Passing score is 64% – so you need to get 39 correct answers out of 60, which is almost 2 out of 3 questions. At the end of the test, you get the score on screen which is great to know instantly if you passed or you need to re-take the test. Yesterday I took the M2 Professional Developer test and passed it. I found it difficult to be honest, questions were lengthy and answers were confusing. Magento recommends developers to at least have 1.5 to 2 years of experience before taking this test to pass, but I think you can still go for the test if you have worked on 4-5 Magento 2 projects hands on with around a year of experience. I believe that is enough if you are fully into Magento and understand the architecture of the system and technical concepts of various features it offers. I found SwiftOtter very useful, along with it’s practice test where it offers 44 questions https://swiftotter.com/technical/certifications/magento-2-certified-developer-practice-test. However, it’s not guaranteed that you will pass solely by studying their guide and practice test. You also need to understand the code and should have experience working on it in the M2 projects to clear the exam. I suggest taking the practice test once you have read and understood the topics in the guide and Magento DevDocs and are ready to face the real test. 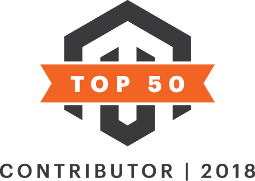 It’s evident there’s a lot of hard work done by the Magento U team and developers who contributed to this test by writing questions and answers. It’s really hard to pass this test if you don’t have deep understanding in Magento 2 concepts and don’t have enough practical knowledge to prove your M2 abilities. Security – Not a single question was asked on this topic. 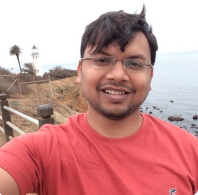 I am not talking about Payment, PCI and Magento Vault things when I say Security, I mean writing code that does not leave behind security vulnerabilities. It should be must for a backend or full-stack developer to at least have a basic understanding of how to write secure code, Magento had a great opportunity to include some good security questions (like CSRF token, escaping user-submitted data, XSS prevention, preventing file path exploits, sanitizing user data before saving/getting from db, etc..) here, but…. Readability – Most of the Magento developers are from non-native English speaking countries, myself included. I feel there were few lengthy questions which were just difficult to understand for non-native speakers. I also heard similar complaints from few developers who took this test confirming that they had to read some of the questions 2-3 times which took much of their time to just understand what the questions were trying to ask. That’s a disadvantage to many developers and I believe Magento U will take a note of that when writing upcoming new test questions. Let me know your thoughts! Kudos to Magento U team for creating such an outstanding test.